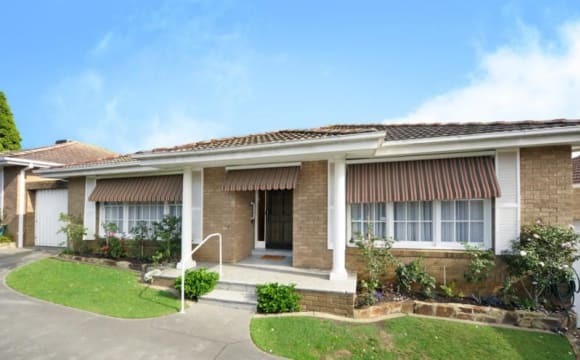 We have a beautiful bright carpeted bedroom available in safe, leafy Balwyn. Its a quiet, safe family street .. we are definitely not a party house! 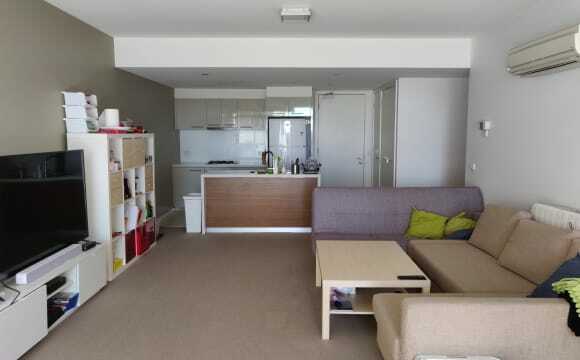 Inside is a big kitchen, stove, benchtop and dishwasher .. the laundry with new washing machine, courtyard for lazing in the the sun and a sparkling share bathroom. The cosy bedroom room has huge built in wardrobes and is furnished with a single bed, and a desk. 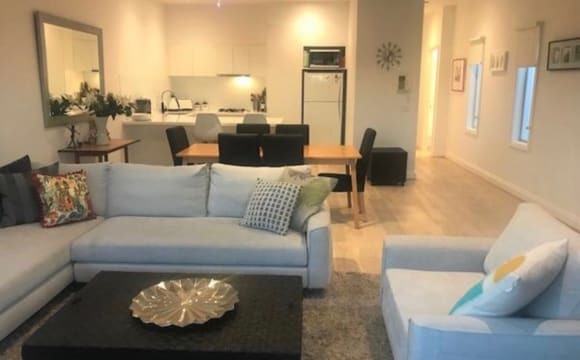 We are a five minute walk to the bustling cafes, fruit stores, clothes shops, chemists and major supermarket in Whitehorse Road, a five minute walk to trams and buses and a twenty minute walk to the Canterbury train station. And if you're a film buff the famous art Deco Balwyn cinema is just down the road. There is air conditioning, unlimited internet access, and all bills are paid .. for just $285 a week! Near new 4 bedroom deepdene house close to public transport and hawthorn. Close to restaurants. Lovely safe neighbourhood with beautiful walking tracks. Brand new 1 bedroom apartment soon to be available for rent (from approximately mid April 2019). 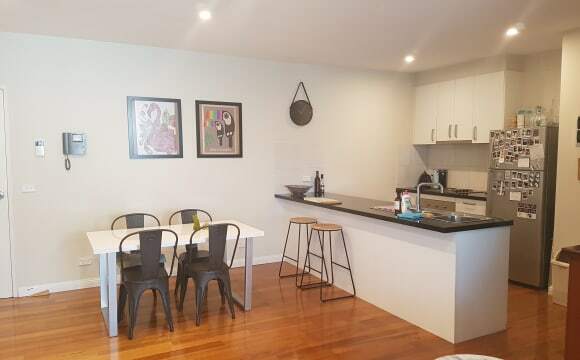 Conveniently located in the heart of Canterbury on Maling Road, this brand new apartment is a 2 min walk away from Canterbury train station, cafes, shops, parks and other amenities. Suitable for a working professional or a couple, this brand new home comes equipped with premium furnishings, modern appliances including a fridge and a balcony area. Undercover car park and storage cage available. 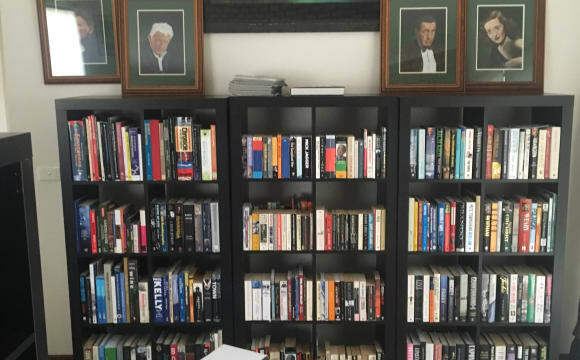 Hi everyone, My housemate is going away for holiday, so I have a spare room to rent out. It's close to all the amenities, Camberwell junction, Kew junction, Burke Rd, Glenferrie Rd and Whitehorse Rd shopping strips, so you have a great selection of cafe/restaurants or ubereats/deliveroo takeaways. Anytime fitness and Good life gyms are also just 15mins walk away. 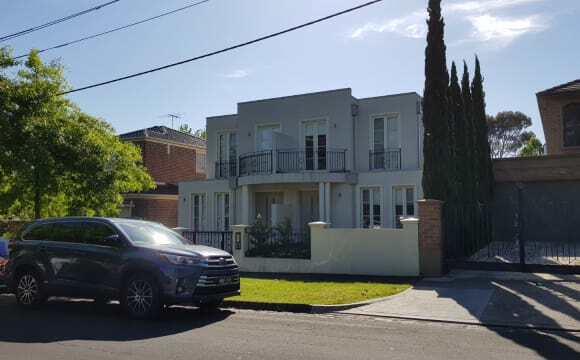 Nearby transportation would be: 72 tram: 1min walk 109 tram: 10min walk Camberwell station: 15min walk or 3 tram stops Bus 624: 15min walk There are also on-street parkings available. Your room has a double bed and BIR, and a big window facing north so you won't get a direct sunlight. All the utilities (power, gas, water, internet) will be shared. There is no strict house rules but I like my living space to be neat and tidy, so it would be highly appreciated if you clean up after yourself and don't mind doing house chores in alternate. And this is a non-smoking apartment, but we could hangout and drink occasionally if you are up for it. About you: I prefer a flatmate, who is independent, reliable, clean, considerate and pays rent on time. Looking forward to meet you soon. 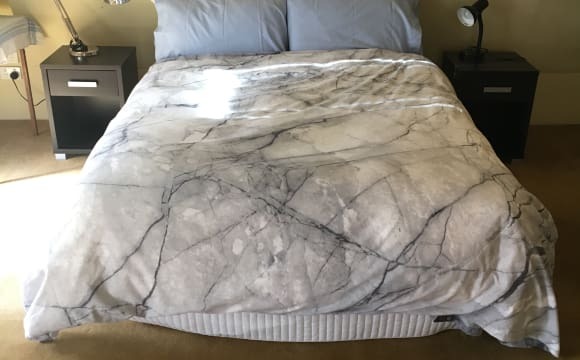 Hey friends, I am renting my furnished room from Saturday the 15th of June until Saturday the 20th of July (5 weeks) for $180 per week ($900 all up and bills and internet included). You will be living with three other amazing house mates (2 males and a female) and my cat Lena. We have a large old heritage listed house (with an amazing yard) in a quiet dead end street in Surrey Hills. Photos do not do this home justice ! It has a warm character, with large ceilings and big rooms. The room being rented is located at the front of the house, it is approximately 4.5 x 4 metres with a window seat and a little sink too (great for that late night thirst). 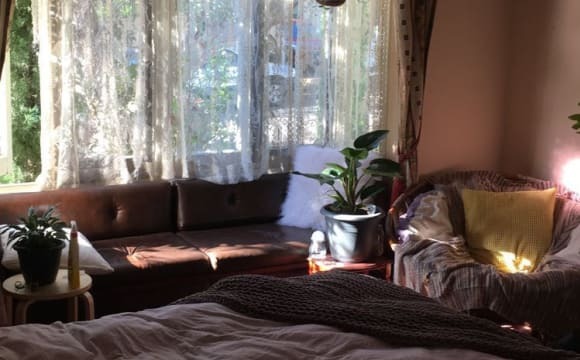 While staying here you will have to take care of my plants and receive endless love and cuddles from my cat Lena (she is very affectionate and loving). The yard is full of greenery and is the perfect place to sip on tea and relax, we have a little veggie patch and compost also. We have plenty of parking on the street but also have Chatham station which is just a five minute walk from our house. It takes about 25 minutes to get into the city via train. About the house: This unit is the last of 5 on Burke Road, and due to its position is well shielded from the road noise. 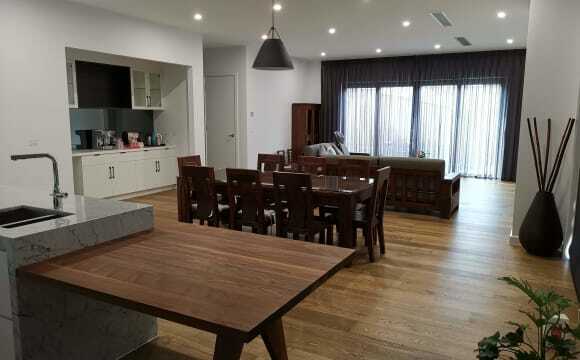 It's relatively spacious considering the location and it has a modern kitchen and bathroom. It has a good split-system downstairs and air conditioning in the bedrooms. 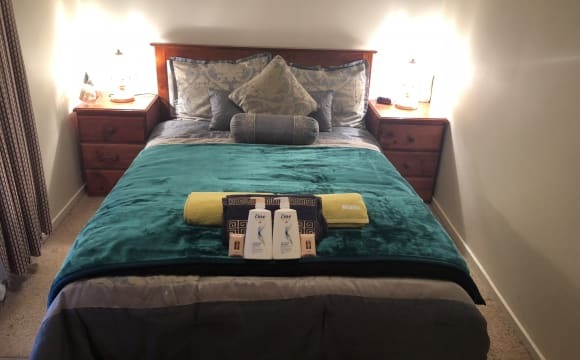 The house is completely furnished with my own stuff, including a great entertainment system, laundry, kitchen gadgets and outdoor furniture - so all you'd need to bring is bedroom furniture and any personality you'd like to add to the shared space. (Plants and art welcome.) My bedroom has a small ensuite so you would have the main bathroom completely to yourself! The shower-bath is big enough to fit an adult and has great light. The property includes storage space and a parking spot too! Super close to the Camberwell shopping precinct and public transport - it has everything you need! The room available is private as we both reside in the other room together. There is now a double bed available even though it doesn't show in the photo. The bathroom is shared but the shower and toilet area are in separate rooms, as are the kitchen area and living room. The rooms are spacious and the flat has been recently renovated. The flat also has heating. The area is very quaint and located nearby 4 schools and a 10 minute walk to Canterbury railway station. 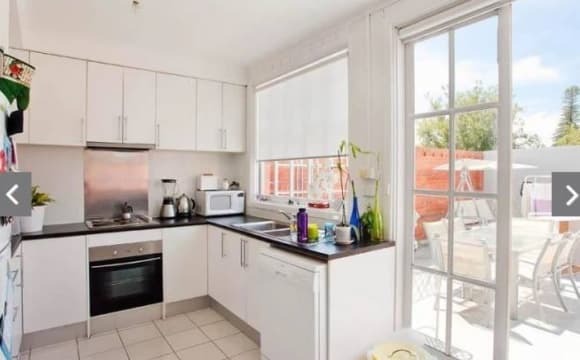 There are plenty of restaurants and shops around the area with Camberwell junction and Riversdale road both within 5 minutes driving distance. All utlities and NBN have been connected. The apartment is in an older building which is well kept and quite cute I think! It is on the first floor, has floorboards throughout with a separate dining and lounge area and big bedrooms and bathroom. It has 2 (!!!) balconies and a fireplace in the lounge room (for decorative purposes only unfortunatey!). There's heating and cooling and a dishwasher in the kitchen. 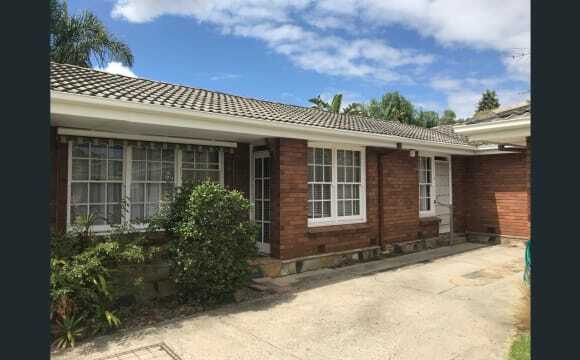 Quiet two bedroom flat, close to public transport and shopping centres. 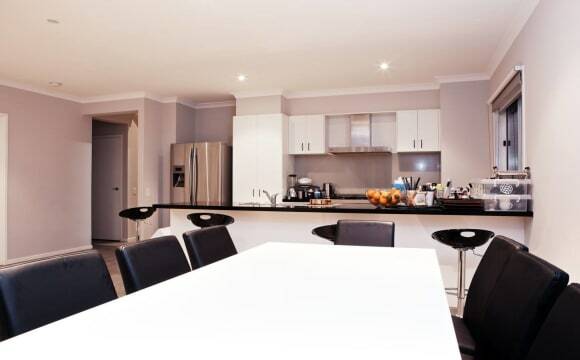 The house is at prime location to get to the CBD Melbourne, Swinburne university and the university of Melbourne. 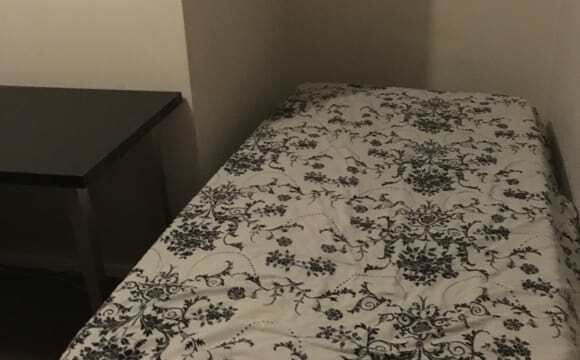 Features include: Spacious room Furnished with single bed, computer table, chair, cupboard, and heater.